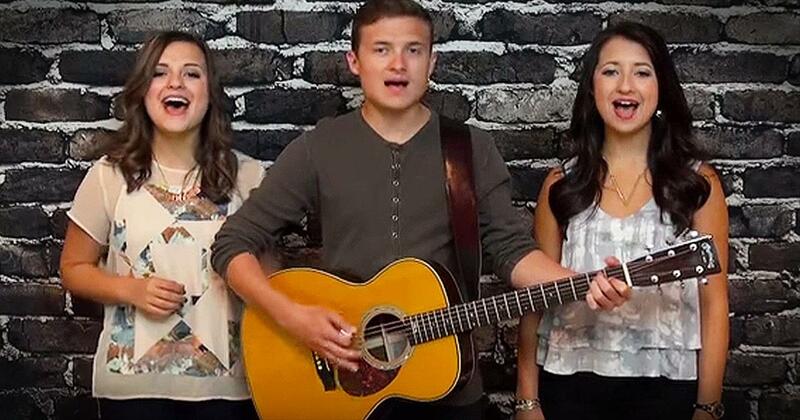 Internet-sensation Daves Highway is the Mississippi-based trio comprised of teen siblings Delaney, Zachary and Erika Daves. Their first full-length album, All This Time is set for release September 20, 2011. Produced by Sam Ashworth (Michael W. Smith, Sixpence None the Richer), the album features infectious, well-written songs – half of which were co-written by the siblings – and a refreshing blend of country and gospel. 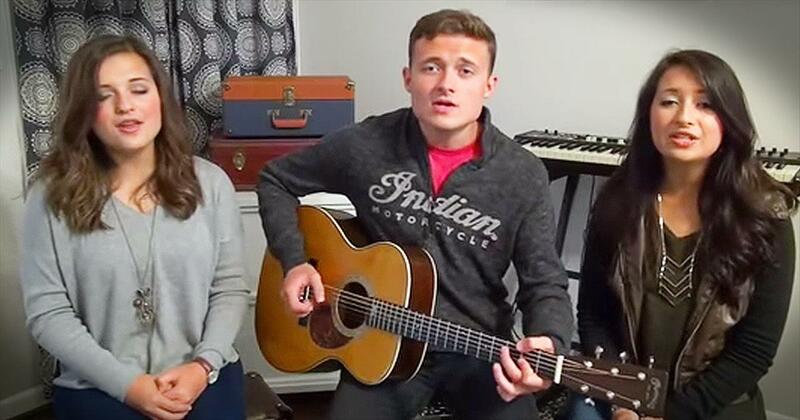 “Mom is country, Dad is rock, and we are a Christian family in the South, so we have that country rock Christian sound going on in our music,” says Zachary. In late 2009, Daves Highway started gaining a mass following online after posting some of their home videos on YouTube and Facebook. 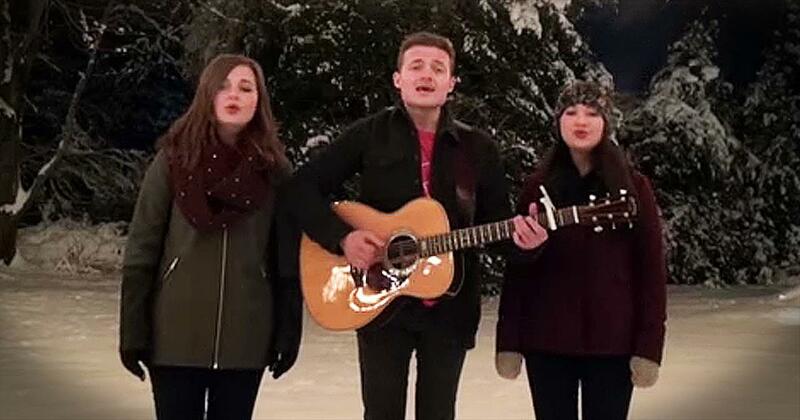 Their version of Chris Tomlin’s “Jesus Messiah” exploded online, catching the attention of the songwriter himself. Tomlin was amazed by the kids’ rendition and posted the video on his blog for his fans to see. He also gave a standing invitation for the siblings to sing with him should he ever come close to their town. Daves Highway released an EP in December 2009 featuring their version of “Jesus Messiah” produced by Grammy Award-winning producer Charlie Peacock. The song peaked at No. 25 on the Amazon MP3 Christian chart and entered the Amazon MP3 Top 75 Country songs. “You have to have a pretty guarded heart not to be thrilled by such young people singing perfect, three-part harmony!” Peacock says. The self-taught trio’s voices combine to create a remarkable musical blend, which can only be created by what’s known in the South as “blood harmony.” Their love of music was inherited from their parents and it wasn’t long until the siblings picked up various instruments and discovered they could sing incredibly well together. “Music has always been a big part of our lives at home, church and school, whether we are just hanging out or being serious about it,” says Zachary. 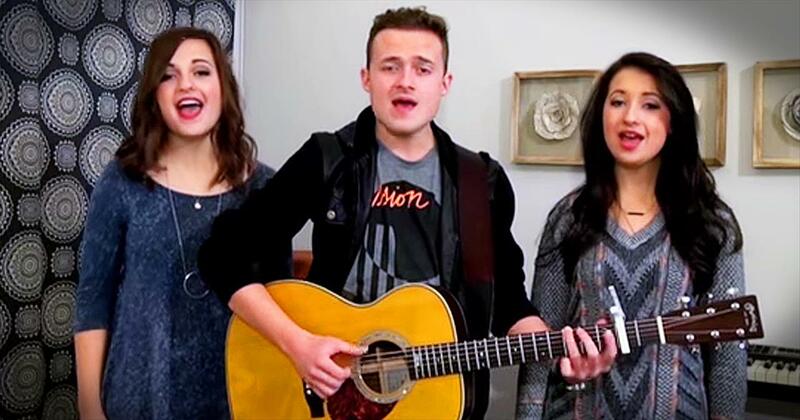 The versatile trio effortlessly jumps from one genre to another, citing their primary musical influences as Little Big Town, Chris Tomlin, Alabama, The Martins, and The Eagles. The past year has been a busy one – they’ve traveled around opening events for Marty Stuart, Diamond Rio and Little Big Town, appeared on numerous TV and radio programs like KLOVE and The FISH, and their internet videos have surpassed 3 million views – yet they remain grounded. 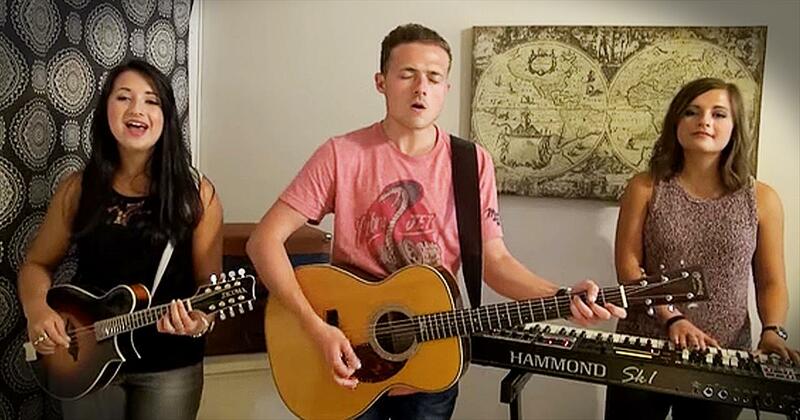 They are very involved in their youth group and they play in the youth band at their local church. The siblings have the same group of friends so they spend a lot of time together playing sports, watching movies, and hanging out at their favorite local yogurt shop. Delaney is the oldest at 17. She is a sophisticated glamour girl who loves painting, shopping, and anything that sparkles. And, like most big sisters – she is usually the one in charge. “She can make friends with anyone and has a lot of determination. I wish I was more like that,” says Erika about her older sister. Delaney plays mandolin, bass, and guitar and sings most of the lead melodies. Zachary, 15, is the definitive “man in the middle.” Nestled between an older and a younger sister, he is well versed in the art of negotiation and is often described as the peacemaker. His sisters refer to his bedroom as the ‘rock star’ room as it is filled with guitars and his growing record collection. Zachary plays acoustic and electric guitar and sings the lower harmonies. Erika is the youngest at 14. She is a free spirit and a joker with tremendous wit. “She is so funny and makes everything fun,” says Delaney. 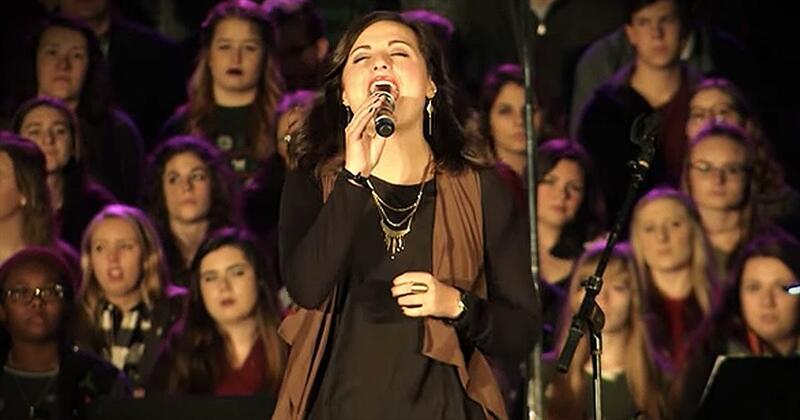 Erika is gifted in vocal harmony and is also a great songwriter for the group – writing since she was 5. She is a pure soloist who plays piano and sings the high harmonies. 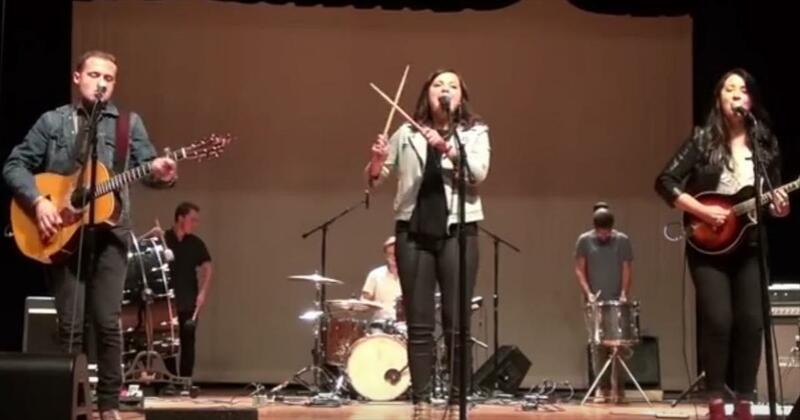 Sibling country and gospel band, Daves Highway, is taking a page from another sibling band, Delta Rae, in their cover of "Bottom of the River". Although still fairly young, Daves Highway has been impressing us for years now, with their mastery of perfect 3 part harmony. This song has an infectious beat that has on on our feet! Watch daveshighway music videos free online! Godtube.com also provides videos with daveshighway lyrics, singles, album information and reviews. Whether you're looking for an inspirational and encouraging song for your quiet time with God or an upbeat song to praise Jesus, Godtube.com offers the largest online database of Christian music artists!